Back in 2011, Vancouver metal vets 3 Inches of Blood announced plans for an upcoming documentary that would follow the band on tour. The flick is now apparently all ready to go and has been given the title 3 Inches of Blood: Warriors of the Great White North. A screening premiere has yet to be announced, but director Tom MacLeod is reportedly sending the finished product to film festivals and is seeking a distributor. For now, he has delivered a trailer for the film, which you can see below. The minute-and-a-half preview finds the band jumping on stages across Canada, as well as talking about the life of a touring metalhead and battling through long drives to give it their all for the fans. There's also some talk of brotherhood, wrecking crowds and booze-pounding. You can view the trailer down below. 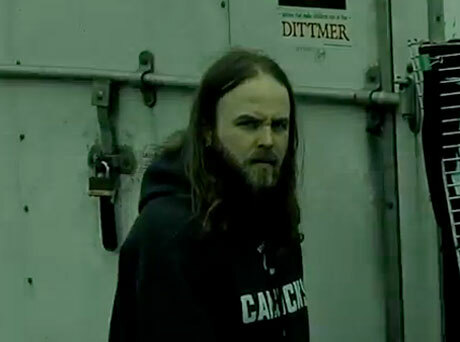 As previously reported, the film found MacLeod, who had previously directed the band's "12:34" music video, out on the road on a Canadian trip with 3 Inches of Blood and Cancer Bats in the spring of 2011. The tour itself was titled "Warriors of the Great White North." He raised funds for the film via IndieGoGo. While we're waiting for the film to drop, don't forget that the band are also heading out on another Canadian tour in support of their latest LP, Long Live Heavy Metal, in April. You can see the dates down below.